Do you have a soft spot for animals and their health? Do you see yourself working in a vet clinic or on a farm some day? If so, a veterinary medicine degree might be the path for you. To become a vet, you’ll first need an bachelor’s degree with a solid foundation in the life or physical sciences. Recommended majors at Wayne State include the biology or chemistry pre-veterinary medicine degree tracks. 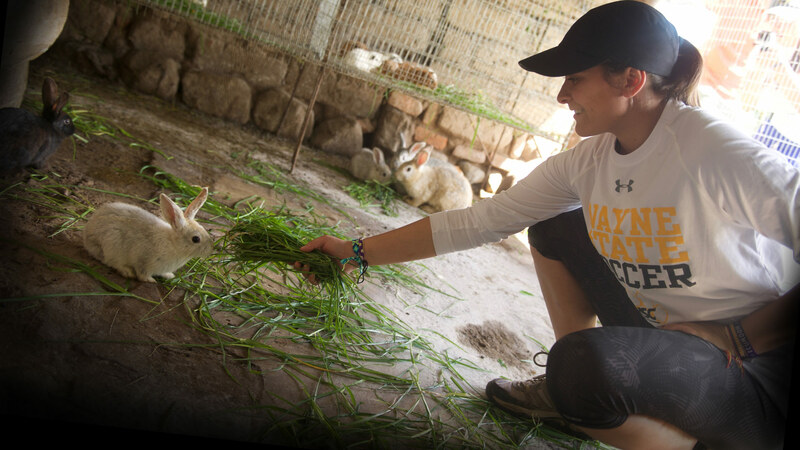 After graduating from WSC, you’ll move on to graduate work at a professional veterinary medicine school. Area vet schools include Colorado State University, Kansas State University, Iowa State University, Oklahoma State University, and the University of Missouri. Degrees offered: This program is set up so you can receive a B.S. from Wayne State. Then you’ll be ready to move on to graduate work at a professional veterinary medicine school. In addition to having the region’s most affordable tuition, we offer thousands of dollars in scholarships every year. Learn more about scholarships and aid to help you on your path in becoming a veterinarian. Our faculty are accomplished, with 85% of our full-time faculty having the highest degree in their field. Several are highly regarded as experts and have been recognized with notable honors and awards. And with a low student-to-faculty ratio, you'll be sure to receive an excellent education in a personalized setting with a friendly atmosphere. 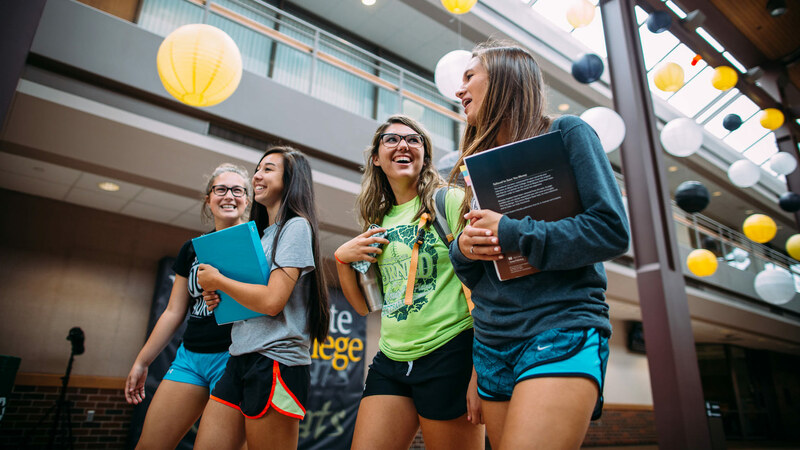 At Wayne State College, you’ll have opportunities to enhance your education by participating in clubs, organizations, activities, and more. Make a difference in the community while learning skills you can apply toward your future career! Wayne State’s Service-Learning program has received national awards in recognition of outstanding community service, with more than 400 students participating in Service-Learning projects each semester. Research, trips, and more – Conduct your own research and even present your findings at regional conferences, help judge at the Nebraska Science Bowl and Junior Academy of Science Fairs, and visit area science labs. Peer tutoring and mentoring programs – Help fellow students master their courses and improve their skills, or be part of a support system for new students, all while gaining valuable experience for your resume. Internships are not required for the pre-professional veterinary medicine program at Wayne State College, as these are typically completed in your final years of professional school for degree completion. However, Career Services is available to help you find job opportunities if you are looking for field-related work experience.